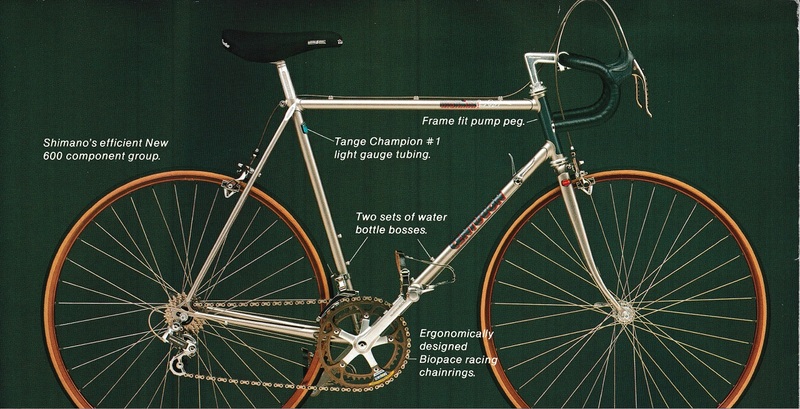 Mid-range, triathlon model that replaced the Comp TA. Rumor is that Centurion (WSI) was having legal issues with BF Goodrich over the COMP TA logo, In the end Centurion changed the COMP TA to the Ironman, and just like that a legend was born. The Ironman was developed with input from Dave Scott as the bikes carried his signature on the top tube along with the Ironman Logo. The 1985 Model was the first year and has very different graphics set as the sucessors had. 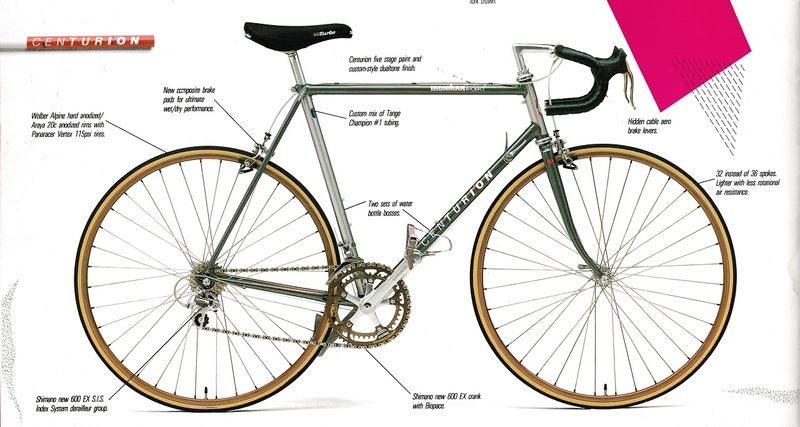 It was also the only Ironman to have a contrasting color on the head tube only. Bottom Bracket Shimano 600 BB-6207?